H&R M.U.V. Project | H&R Special Springs, LP. Never since the Fantastic Voyage has there been a M.U.V.—Micro Utility Vehicle—like the new H&R Clubman. 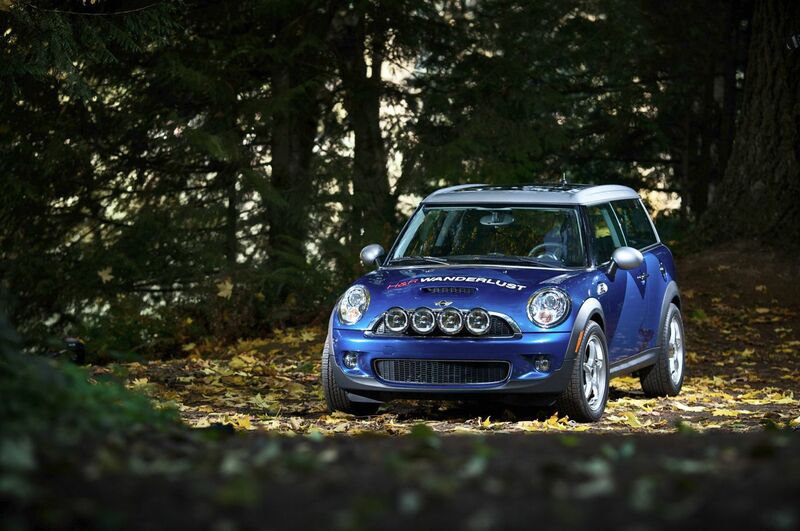 It shouts practicality and promises a great ride. 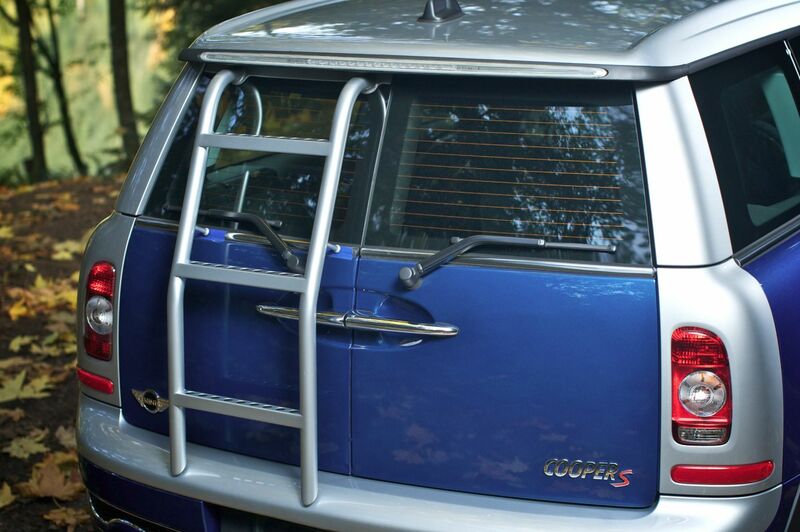 The rear door and passenger side-door configurations make the Clubman unique and a perfect fit for our needs. The supercharged engine keeps you in the power at all altitudes, while H&R Sport Springs increase the Clubman’s vehicle height one inch. 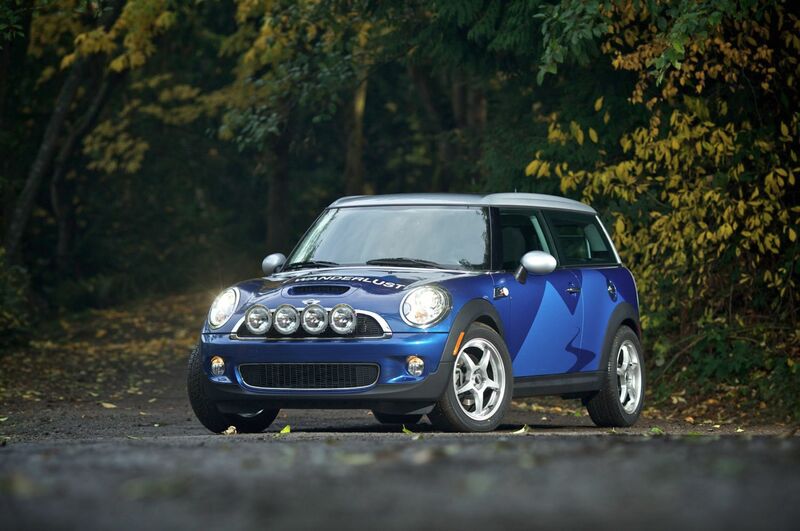 The Clubman’s versatility and practicality allow it to continue in its dominance as the vehicle to personalize. 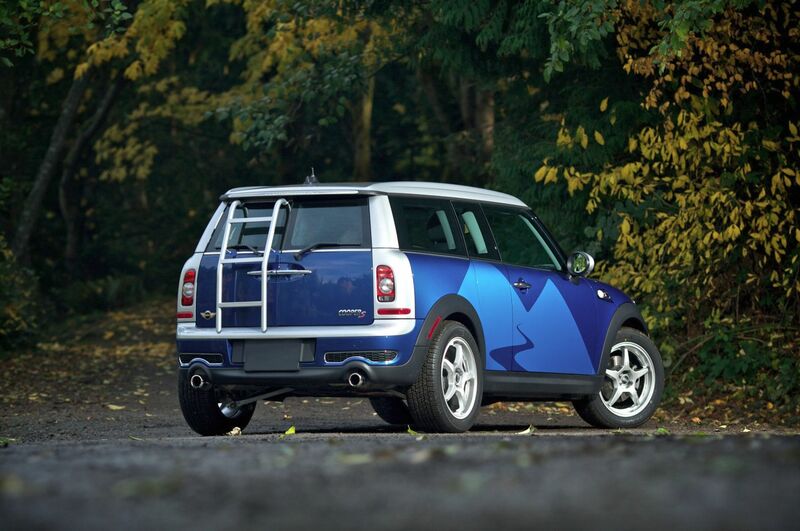 As a 2008 H&R project vehicle, the Clubman has undergone some subtle cosmetic enhancements. Front and center, you’ll notice the shiny chrome Hella Rallye 4000 Compact CELIS® lights we’ve mounted on an ALTA Performance light bar. These lighting jewels come with integrated LED running lights—which are awesome in all low light conditions. It’s also hard to miss the custom H&R Wanderlust detailing—designed by our own Mr. Johnnydanger. 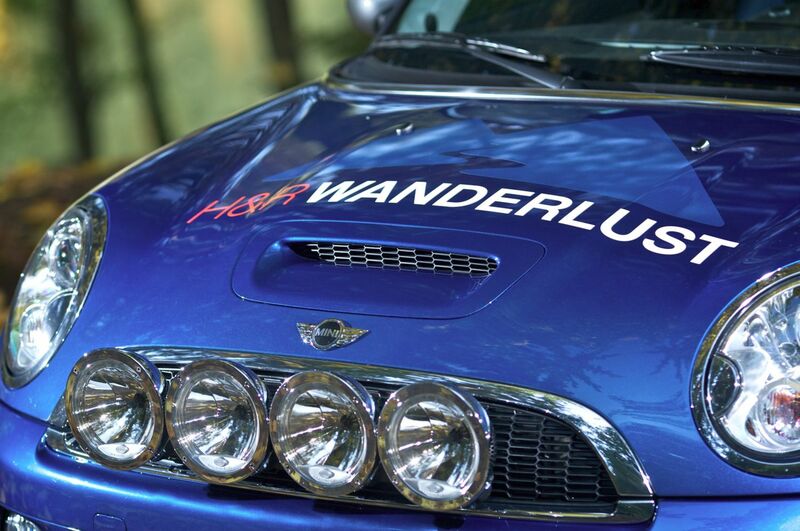 H&R Wanderlust graphics, as seen on our Wanderlust Tours, highlight the vehicle’s newfound rugged image. We’ve added a number of custom interior accoutrements to cover any spontaneous trips: like our true canteen, Kevlar mountaineering rope, and our favorite “Go Climb A Rock” t-shirt that becomes an impromptu seat cover. As noted earlier, the Clubman has been raised 1” with H&R Sport Springs and another 1” with new O.Z. Crono HT wheels and taller Geolander tires—making the vehicle more versatile and allowing for increased ground clearance. To compliment the increased profile of the vehicle, we’ve added a custom, lightweight aluminum rear ladder painted to match the factory silver paint—a perfect drying rack for bikinis. If you’re looking for a vehicle to take you out of town to your favorite recreational scene, the H&R M.U.V. is it. 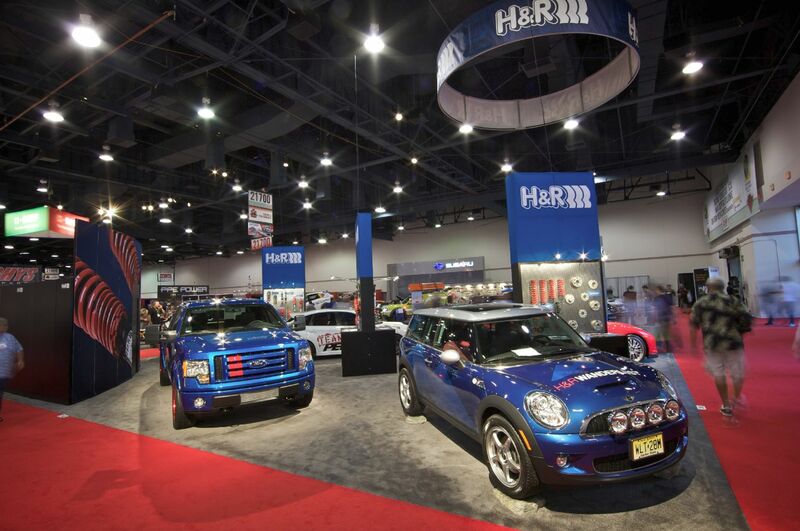 The H&R Clubman reinforces the idea that MINI Cooper is a customization leader and proves the versatility of the M.U.V.—we can’t wait for the real one.